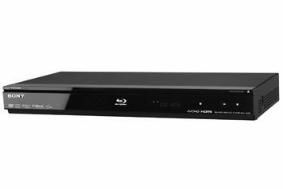 Sony reveals new BDP-S360 Blu-ray player | What Hi-Fi? The new model is the first entry-level Sony BD player to include decoding for both Dolby TrueHD and DTS-HD audio. Naturally the new player can handle 1080p, 24fps Blu-ray video and it's Profile 2.0 straight out of the box, so can stream BD-Live interactive material such as additional scenes, trailers and games. Equipped with Sony's Precision Cinema HD Upscale technology, the BDP-S360 can convert standard-definition signals to 1080p via HDMI. Sony claims its quick start-up mode will take just six seconds (hurrah), and you can control a Sony Bravia TV and home cinema system with one remote control using Bravia Sync. There's support for Deep Colour and xv Colour, plus Sony's Precision Drive technology designed to detect and correct wobbling discs for more stable playback, and the now familiar Xross Media bar used in the PS3. To complement the new player, Sony has also launched two new home cinema systems to go with it. The HT-SS360 (satellite speaker) 5.1 model delivers a claimed 1000 watts of power and come equipped with Sony's S-AIR wireless technology, as well as Digital Cinema Auto Calibration for easy set up. The second model, the HT-FS3, is a 2.1 system with S-Force PRO front surround sound. Both models are fitted with a digital media port for connecting an MP3 player, mobile phone or laptop. We're awaiting confirmation of UK prices on the home cinema systems, but the BDP-S360 will sell for around £230 when it goes on sale in July.